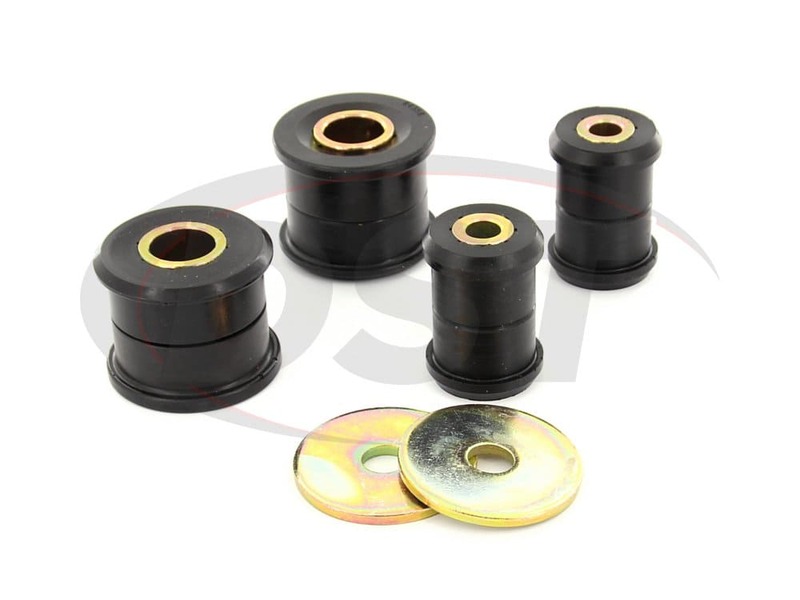 starstarstarstarstar" Parts were great "
Awesome bushings, easy install, ride is much stiffer. 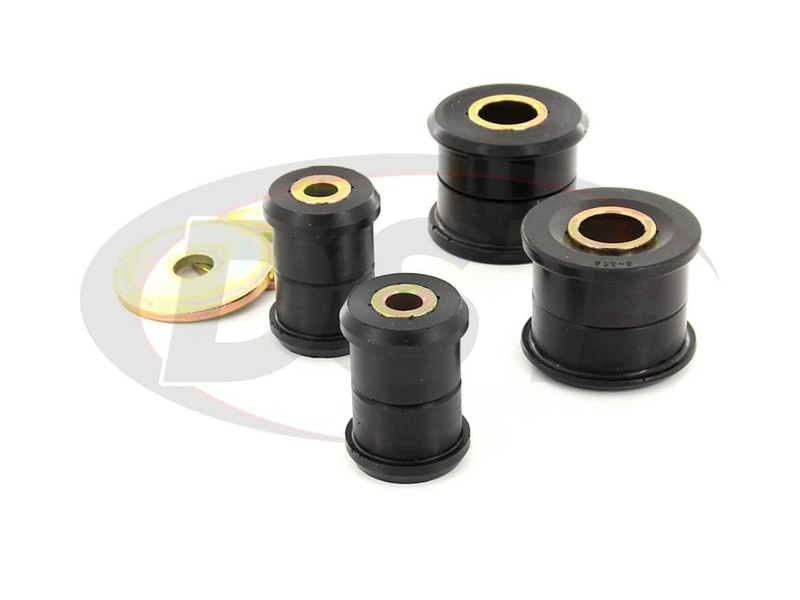 If NVH is a concern, don't install these, but if handling and responsiveness is your goal, you'll love these. 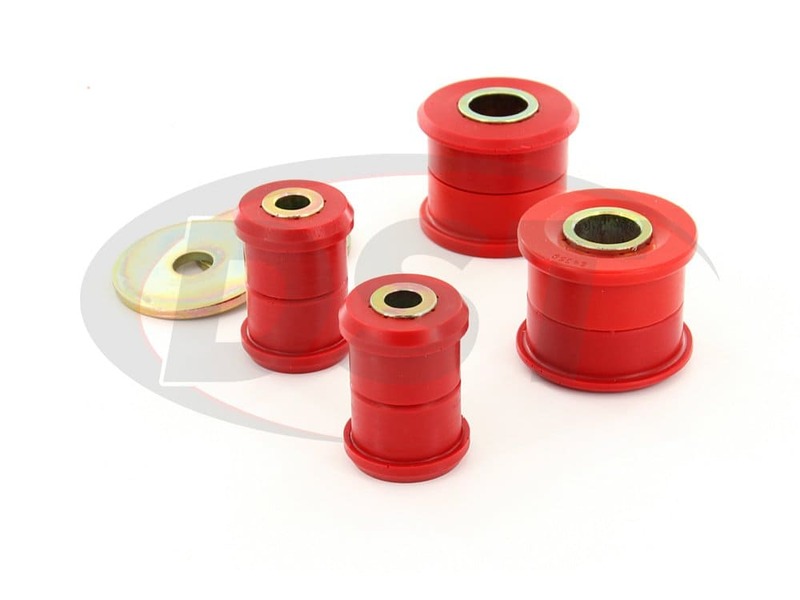 Although I'd did have to trim the width of a pair of bushings and metal races. They were about 10 mm too wide for my application (Impreza 98). My bad ordering... But rest fit great! 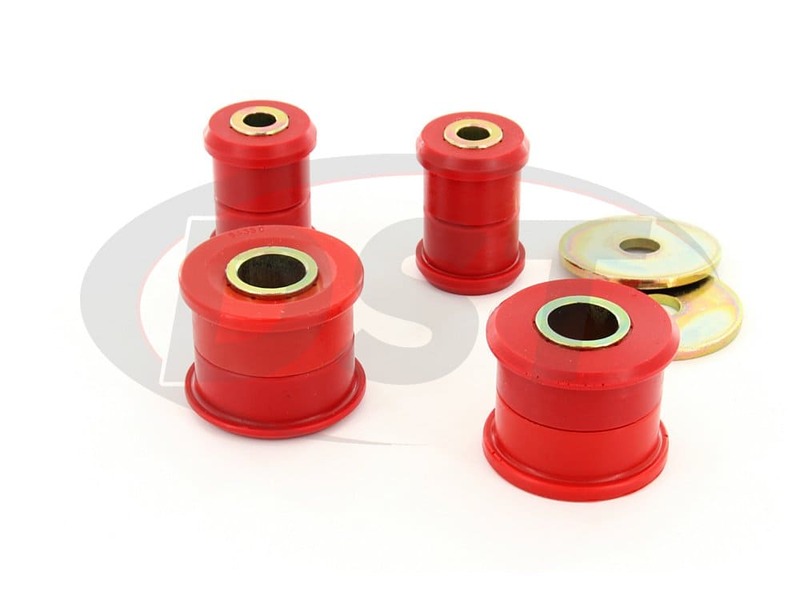 Need help installing your new front control arm bushings? 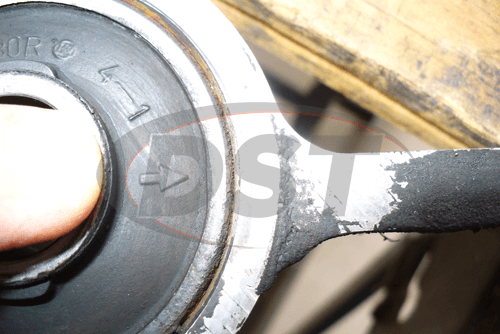 (Prothane part number 16201) Here's a DIY for Prothane part number 16201 - Thank you Carl Downey for providing DST with this content! Set the parking brake, block rear tires and lift the entire front of the car onto jacks. Loosen lug nuts on front wheels. Remove wheels (not strictly required but it's very helpful). 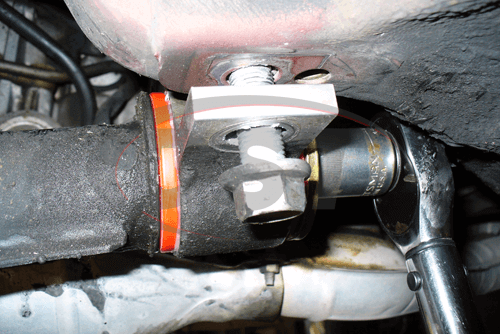 Use 22mm short socket and 1/2" breaker bar to loosen the nut on the back of the mount. 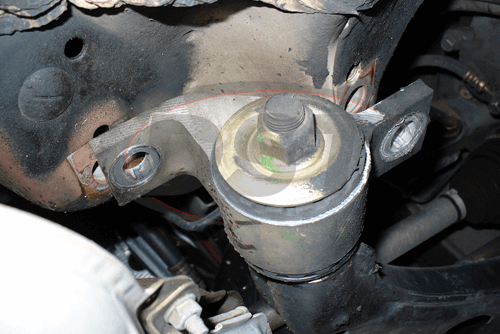 If your tools don't fit, you can use a 19mm socket and partially remove the mount bolts, then use some wood w'ever to pry the rear of the mount down to clear fitment of your socket. If you have an impact gun the mount bolts will come off easily. If not a breaker bar with a cheater pipe will be needed. Wire brush the mount bolts to clean them before reinstalling them. Remove the mount from the arm. For those of you installing an OEM mount, you may want to pay attention to parts orientation. 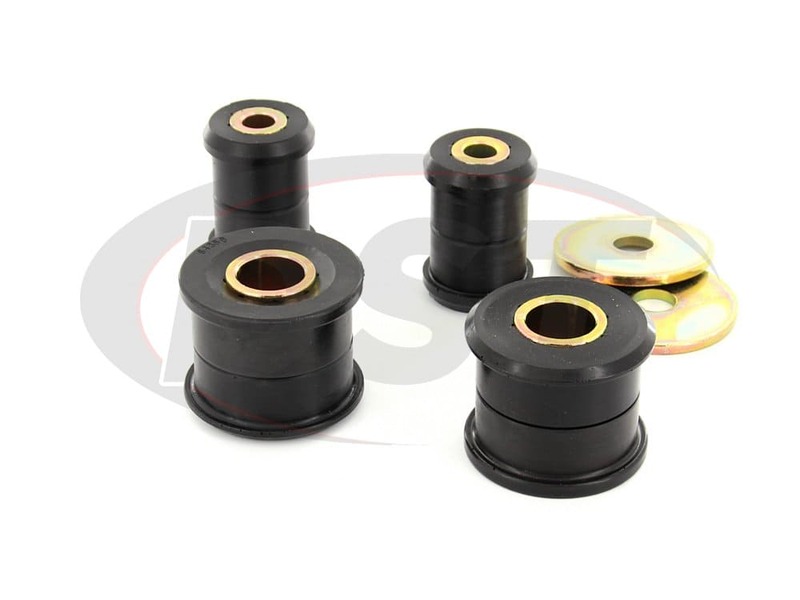 The OEM bushing insert is oriented a certain way, you can see arrows for the purpose molded in the rubber, doesn't matter in this instance. 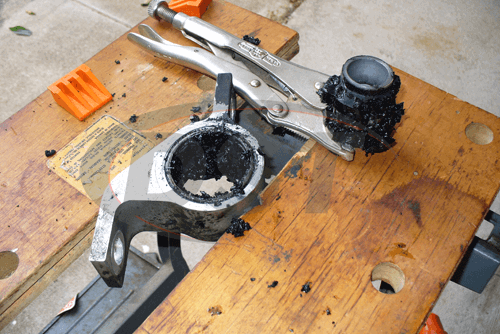 Use 1/4" drill bit to destroy as much of the rubber as possible. Use vice grips to rip the center out. 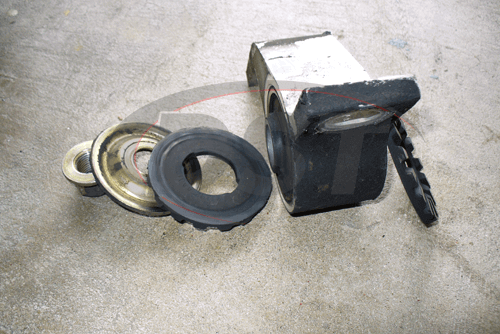 Use a fitted with a metal cutting blade at first, after the 2 bands come out switch to a hacksaw. Wirebrush the inside and outside of the mount. The 2 Prothane Pieces are different. 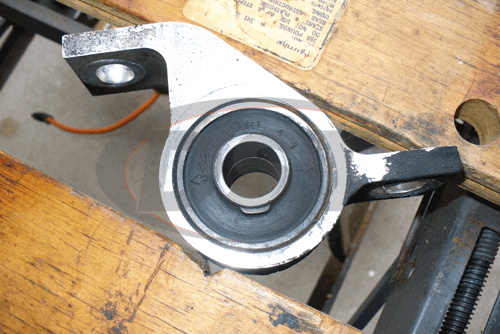 The concave beveled piece goes against the arm, the flat piece will have the washer against it followed by the nut. Lube everything except where the nut sits against the washer. 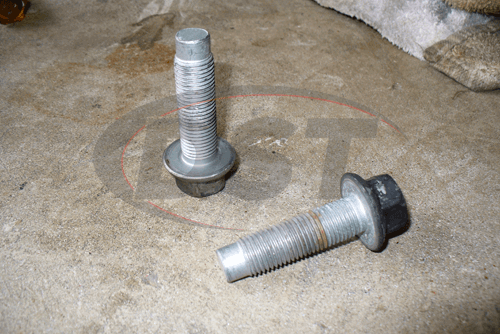 Wipe the mount off, slip the mount on then thread the bolts partially into the car. Spin the nut as far as you can by hand. 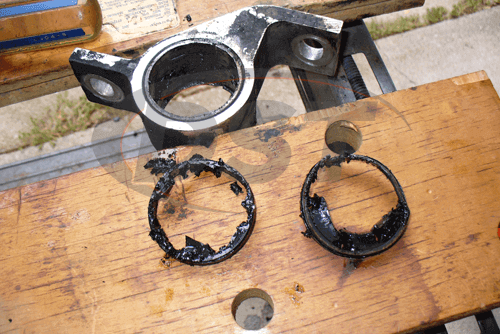 Get the torque wrench (or socket, which ever you have) and tighten. Do the same procedure to the other side of the car and double check work. Replace wheels, remove jacks and lower the car. 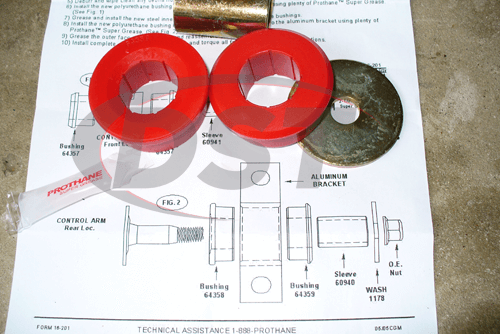 You are done installing Prothane part 16201! 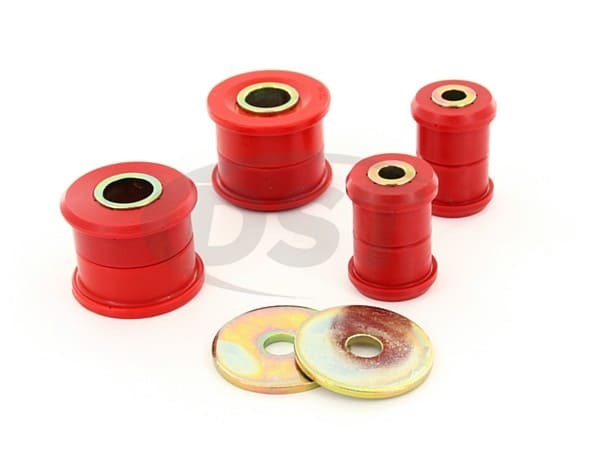 If you have any questions about any other fitment for your suspension parts, please feel free to call us (DST)!